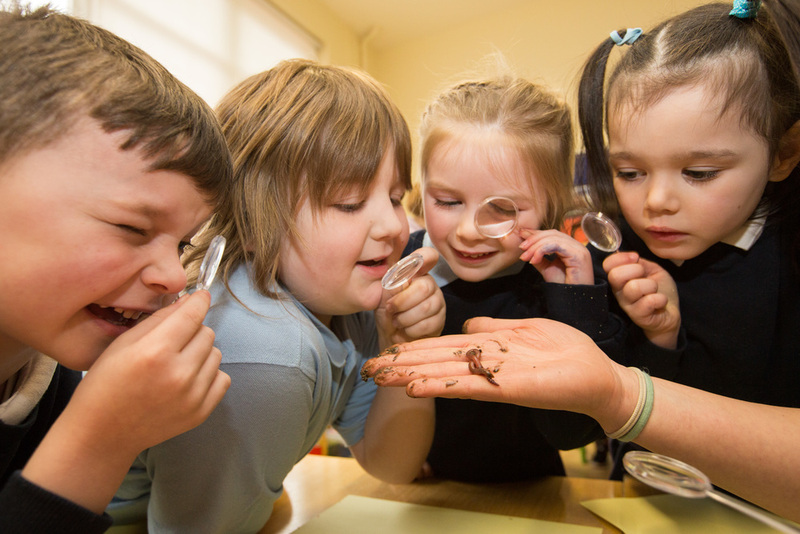 On 29 February 2016, Rachel Boyle International LEAF Director and Project Manager for the Eco-Schools Toyota Biodiversity Educational Project, the Great Plant Hunt, travelled to Ireland to visit some of the participating schools. Bríd Conneely, International Eco-Schools Director and Ian Corbett, Marketing Manager, Toyota Ireland also attended. The Great Plant Hunt is a joint initiative of Toyota Motor Europe and the Foundation for Environmental Education. The campaign includes practical activities based on resources developed by the Royal Botanic Gardens, Kew with funding from the Wellcome Trust. The campaign focuses on biodiversity with a particular emphasis on plants and their associated species. Initially, it is being run in ten countries throughout Europe, including Ireland. This year, the focus is on students aged 5-7. National Operators are responsible for coordinating the project on the ground. National Operators engage with the participating schools and ensure the project is being implemented according to the guidelines. To begin the project, schools survey the students to assess the levels of awareness in relation to biodiversity and the chosen species. Schools then create Habitat Maps of their grounds and come up with innovative ways to help biodiversity and increase the levels of awareness amongst the students and wider community. Later in the school year, schools will reassess the levels of awareness to see if there has been an increase and remap the school grounds showing off any improvements made throughout the school year. 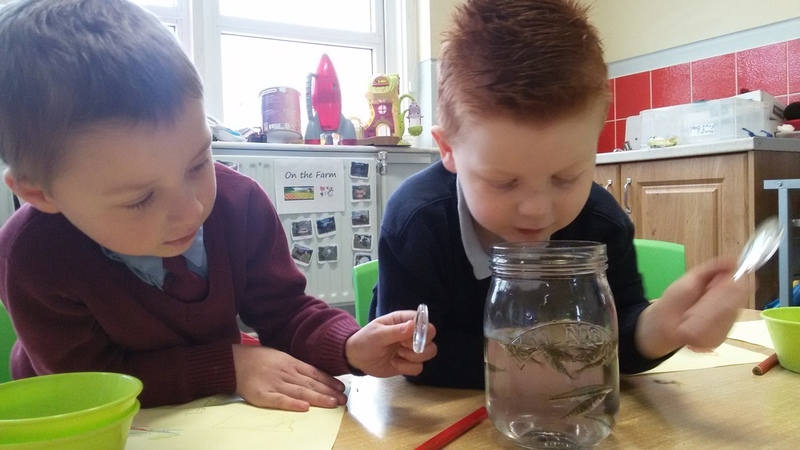 Méabh Boylan, Green-Schools Biodiversity Officer and Project Officer, with An Taisce, Ireland, arranged visits to two of the participating schools in the Dublin area. The schools visited were St. Gabriel’s National School, Ballyfermot and Mount Sackville, Chapelizod. Participating students were able to tell us about the importance of biodiversity and how plants are an important part of many life cycles, supporting insects, birds and mammals by providing food and habitats for nesting and shelter. Students proudly showed off the Habitat Maps they had created as part of their Review process and sang songs related to biodiversity. Ms. Boylan brought live insects for the students to observe and sketch. This caused great excitement amongst the students and provided the perfect learning environment. Maria Kelly, Green-Schools Coordinator in St. Gabriel’s National School, and other participating teachers commented on the benefits of such workshops and how they helped to reach some of their teaching objectives.